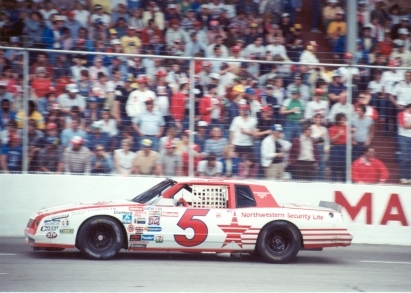 The Budweiser red looks good, I’m not a huge fan of the white front design they used here, but they fixed in by 1992. The old QUAKER STATE logo looks decent, but I hate the shade of green they used. It almost looks like the current shade of green, if it had faded in the sun. It’s really bland. 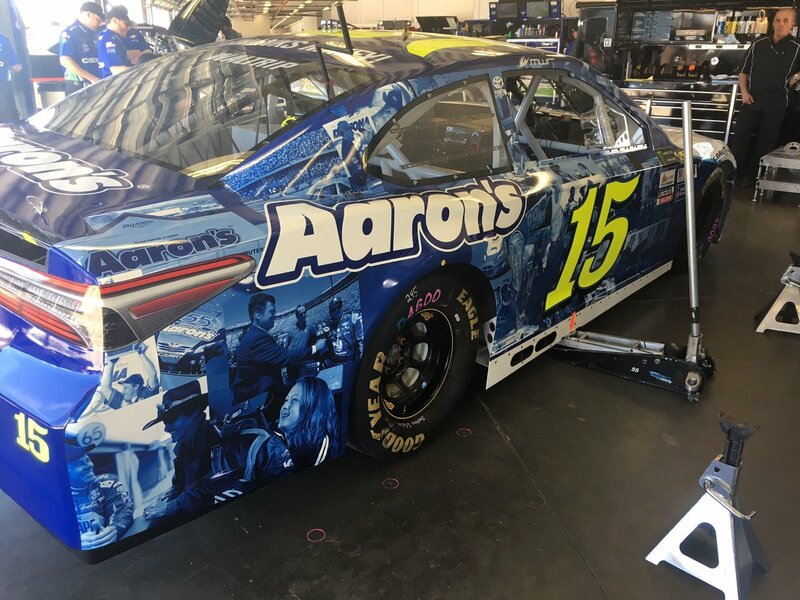 I’ll give the paint scheme a B- The car design looks OK, but the covered wheels don’t look good, and the lack of mud flaps doesn’t help the streamlined look. 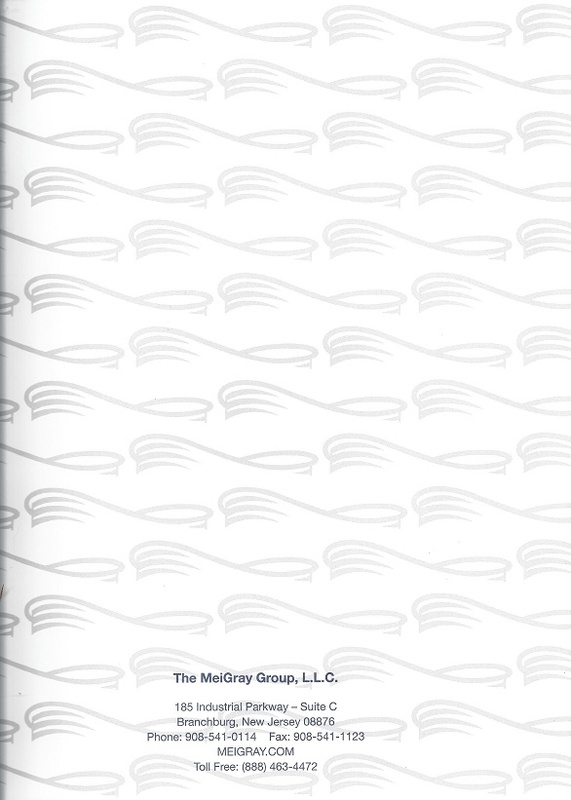 It’s good the streamline concept died shortly thereafter. I’m going to be a little lazy this week. I normally would work on the Tracker and grades over the weekend, but this last weekend was a little bit different. On Saturday, I had a cookout to celebrate my 35th birthday. I had friends and family come over, and we had a great time. On Sunday, I went to the Armenian Festival in Downtown Evanston with a buddy who was visiting from California. Since I was so busy, I never got around, so the Tracker and grades will run next week. I also wanted to discuss something that happened over the weekend. The NHRA Chevrolet Performance U.S. Nationals is taking place this weekend. 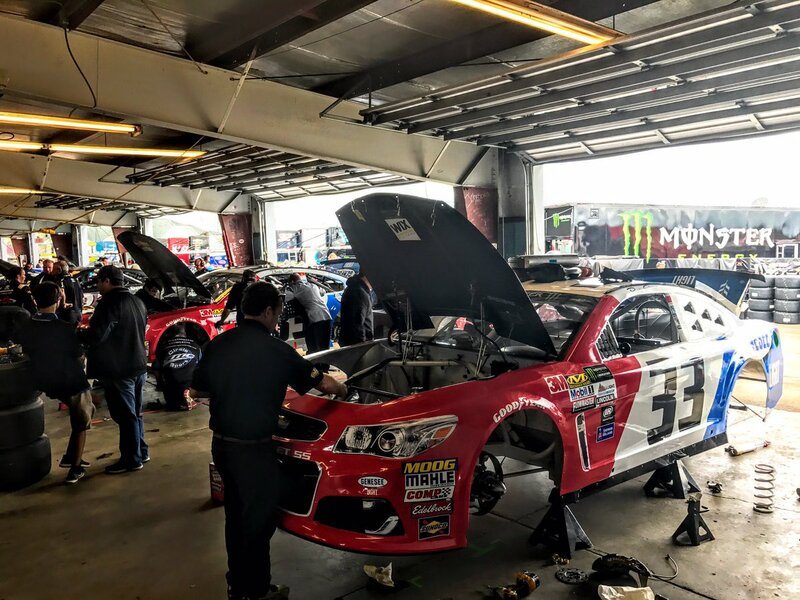 After the event, the Countdown To The Championship starts, and the top 10 in points will get locked in. 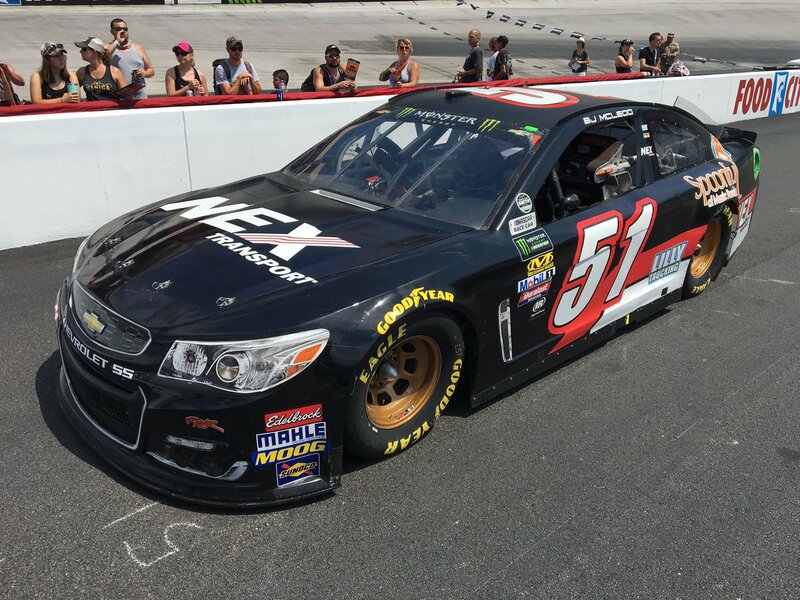 At the time of this writing, Troy Coughlin Jr. is 10th in points in Top Fuel. On Saturday, Troy left Kalitta Motorsports, “citing a desire to get more experience in the Top Alcohol Dragster ranks” according to the NHRA’s website. The timing of this decision could not have been worse. 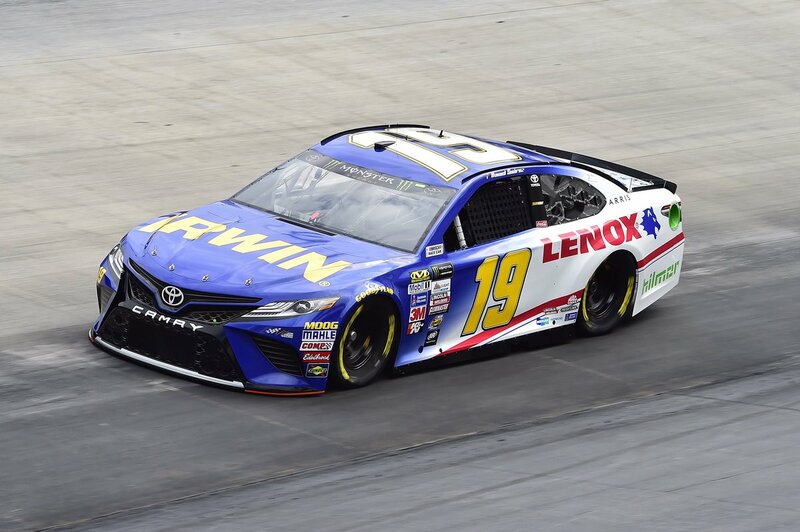 Leaving the team when you are seated 10th in points before the cutoff is shocking. 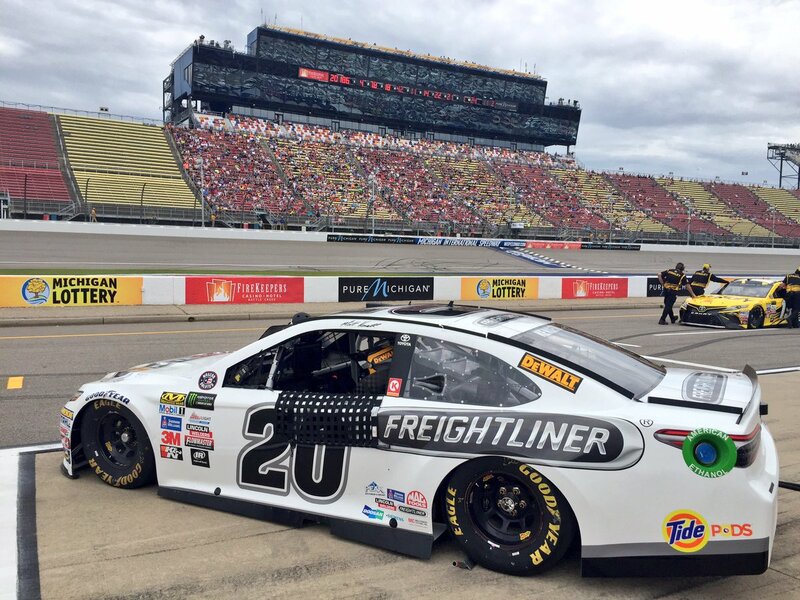 However, the team has signed Richie Crampton to replace Coughlin, so they have upgraded in that respect, and Shawn Langdon, another Kalitta Motorsports driver is 11th in points, so he will certainly make the Countdown. So the damage isn’t as bad as it could be. I found it a little odd that Coughlin was signed from Pro Mod to Top Fuel. 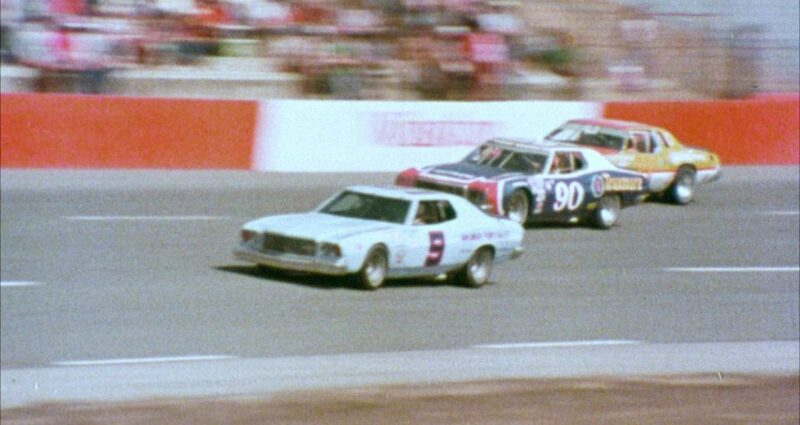 Coughlin’s a good driver, but he didn’t take to the class well at all. He was complaining about a lack of seat time during his early runs. 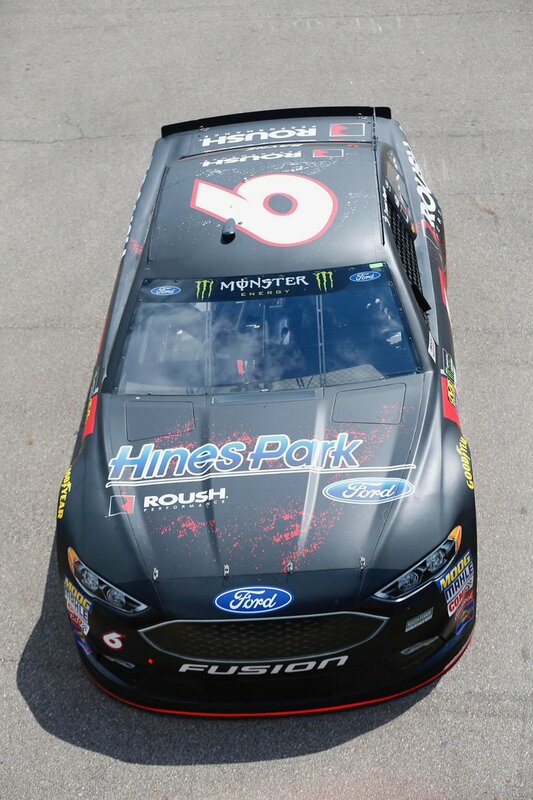 He certainly wasn’t going to be a contender right out of the gate, which is something you want in a driver. He also wasn’t going to win Rookie of the Year, that is certainly going to Tanner Gray. This whole thing just wasn’t well thought out. Why Coughlin didn’t race in Top Alcohol Dragster is odd, given that he could have run a few events just to get some seat time to learn how different a dragster is from a doorslammer. Why this didn’t happen is mystifying. There are a number of questions that don’t have answers. For now, I’m going to consider the Coughlin experiment a failure. 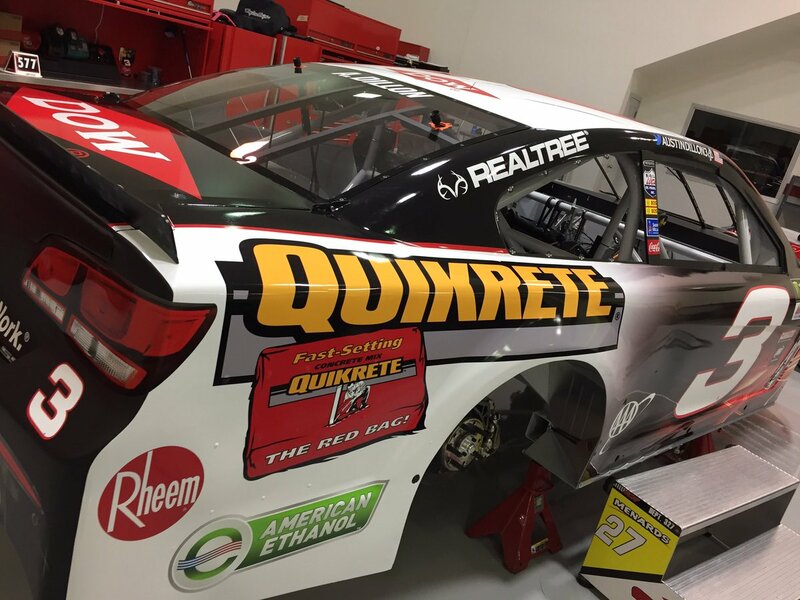 Miguel Paludo raced in the Camping World Truck Series with Duroline as a sponsor in 2012. This vest was from a pit crew member. 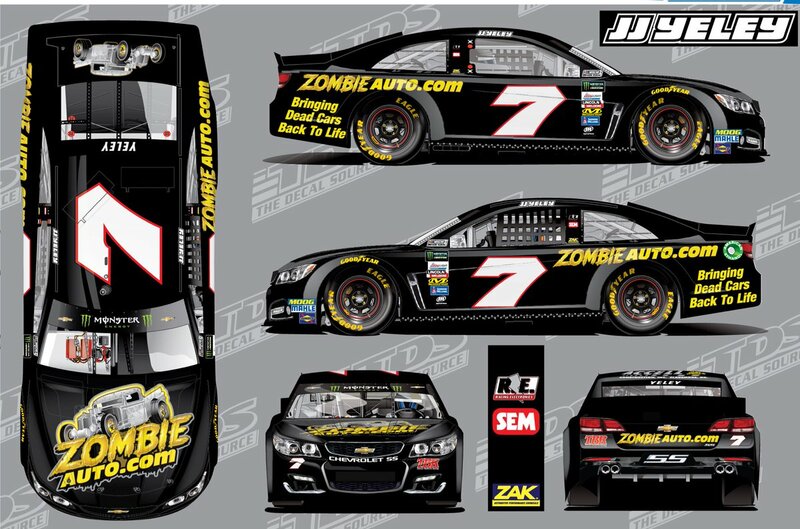 JJ Yeley #7 Zombie Auto Chevy SS-A great scheme, it has a smooth look, and a great color scheme, and that will always earn an A.
Denny Hamlin #11 Sport Clips Throwback Toyota Camry– Ray Hendrick had a great look, and this great scheme looks great, and I can’t give it less than an A.
Daniel Suarez #19 Irwin Tools/Lennox Toyota Camry-The fade looks good, and the color scheme works well too. 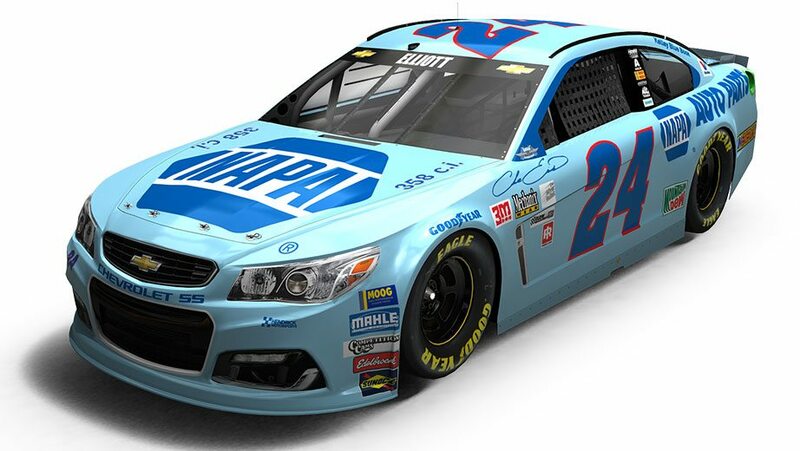 It’s a great look, and great looks earn an A.
Kyle Larson #42 Huggies Chevy SS-Same scheme as last year, same D+ grade. 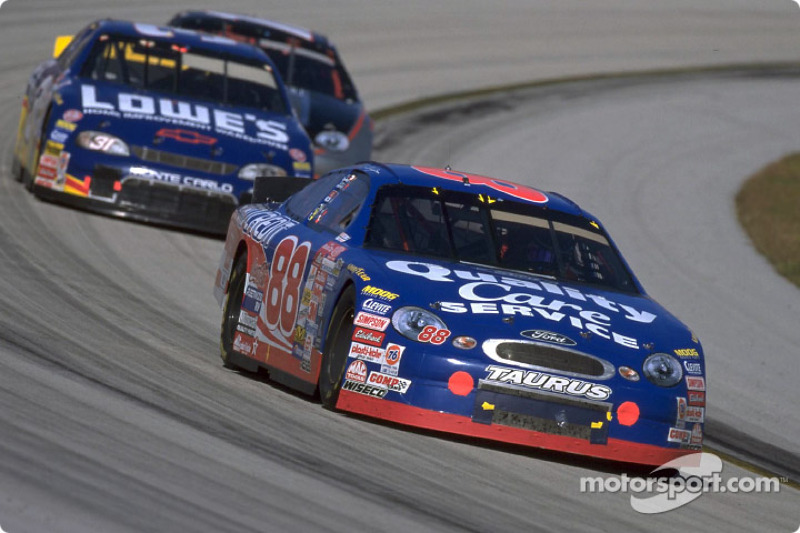 Jimmie Johnson #48 Lowe’s Throwback Chevy SS-Basing a paint scheme on an old truck seems odd, but this scheme makes it work. The colors are great, and the design works well. 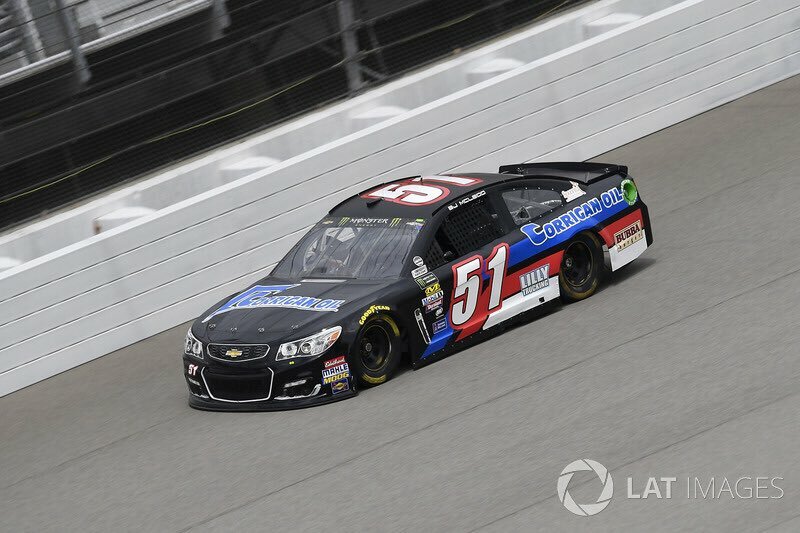 I like this, and it earns an A.
Derrike Cope #55 La Colombe Draft Latte Chevy SS-Same scheme as last year, same A grade. 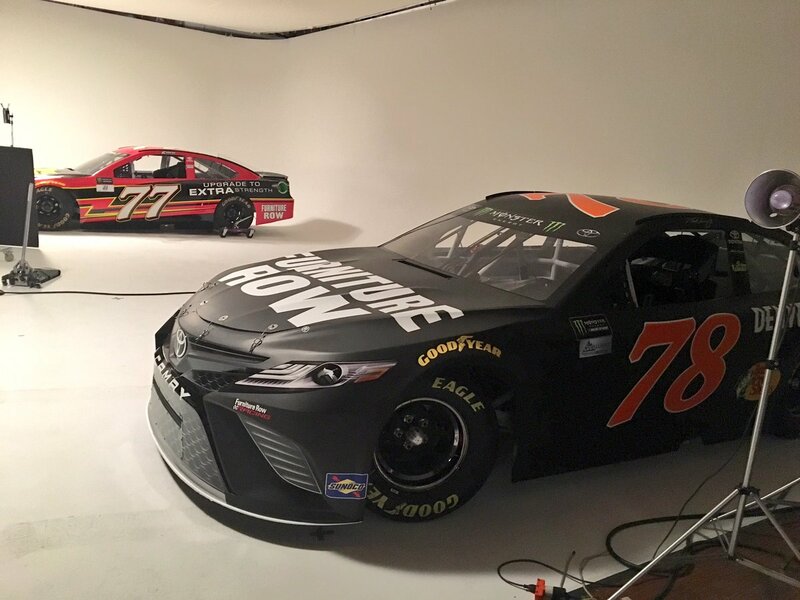 Martin Truex Jr. #78 Bass Pro Shops/Ducks Unlimited Toyota Camry-I didn’t think that the Truex Bass Pro Shops scheme could get any worse…and then I saw this scheme. 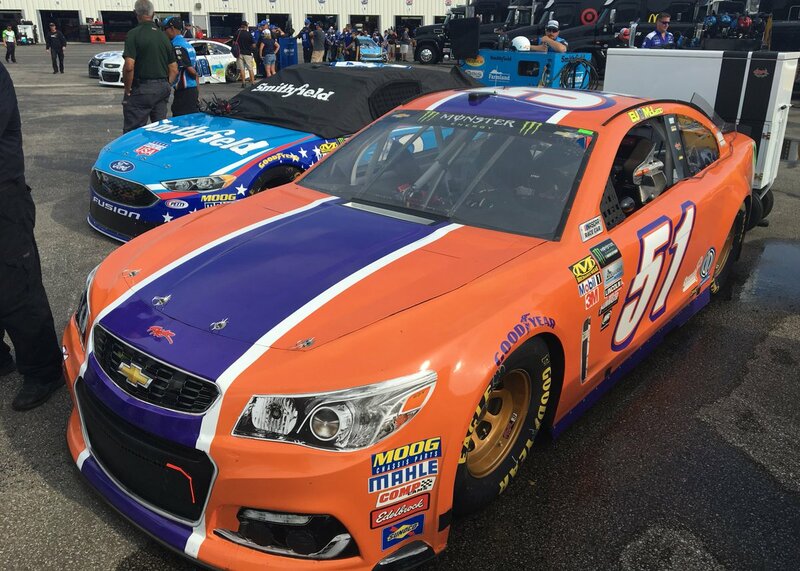 While the orange is logical with a hunting shop, replacing it with a lime green to purple fade is horrific. I wish I could give this something worse than an F, but sadly, I can’t. 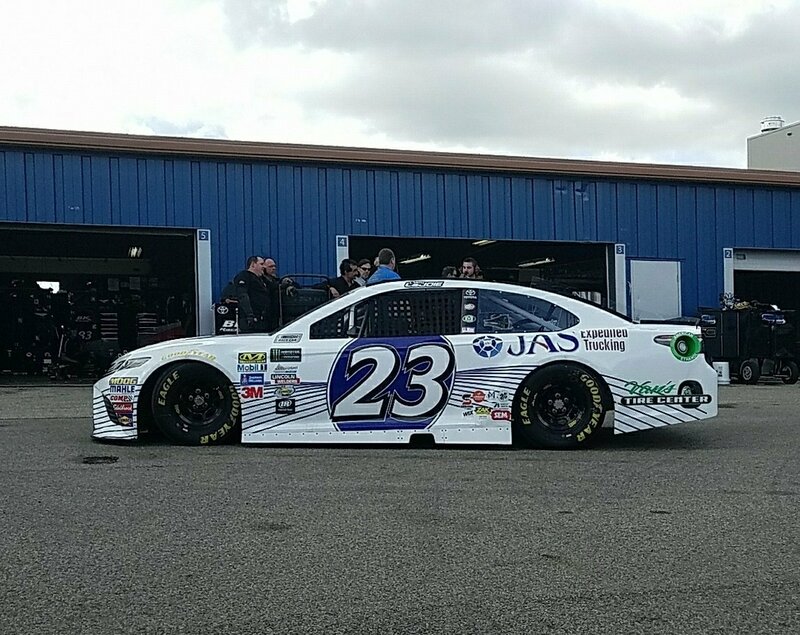 Corey LaJoie #83 HMS Motorsports Toyota Camry-If the curves were toned down a lot, it could work. More stripes don’t always mean a better look. 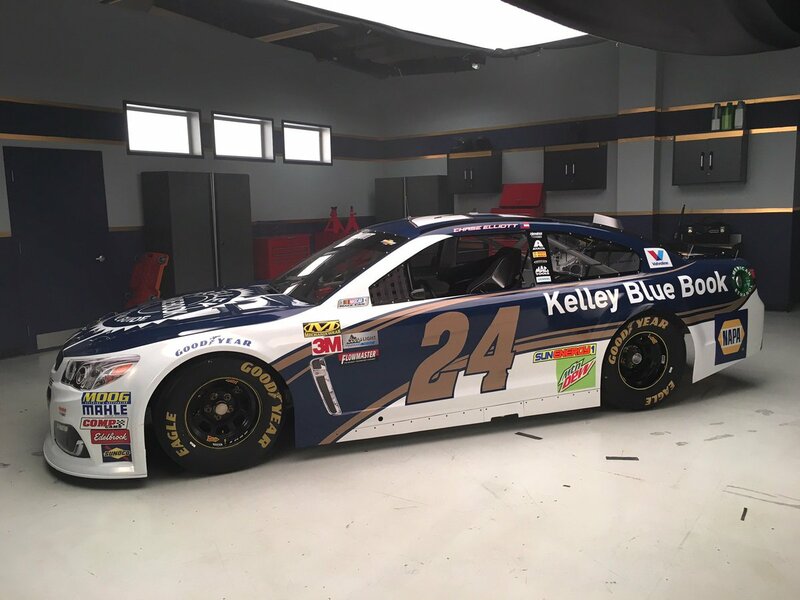 There are too many stripes, and the car just looks over designed. 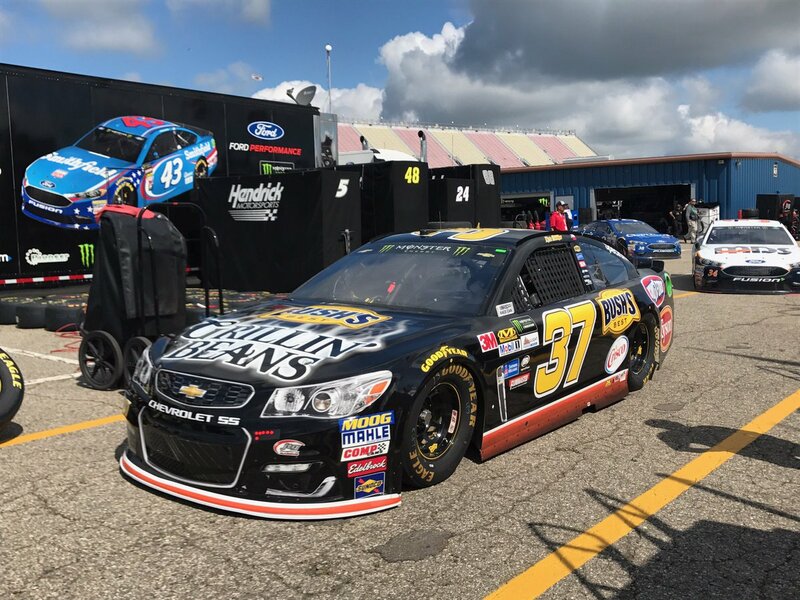 It’s design for the sake of design, and it gets an F.
Michael McDowell #95 Race Wipes Chevy SS-If the blue was darker, only one shade was used, and the green was removed, it could be a better look. Still, it’s not bad, and I’ll give it a C-. Going off topic again this week. I’m not the biggest fan of tennis. I don’t understand a lot of the rules, and I don’t understand the scoring system, even though I took a class on it in high school. That said, tennis has a huge fan base. 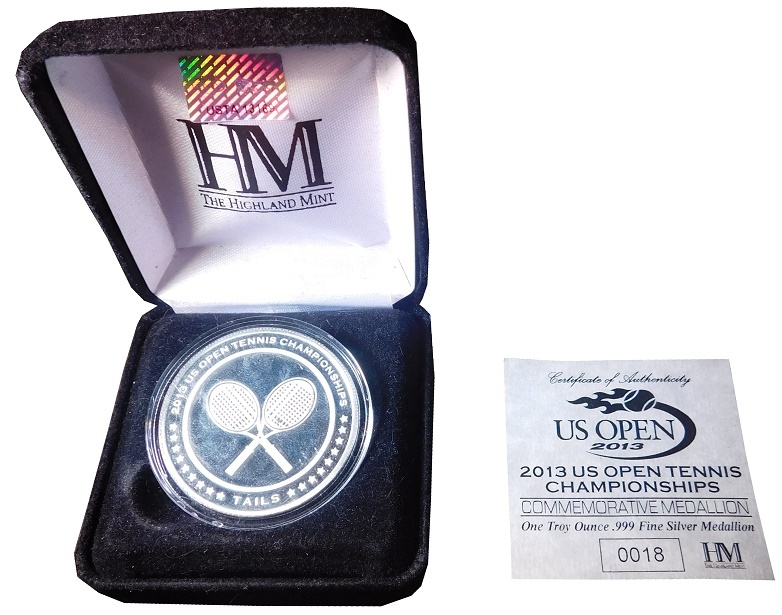 Naturally, the tennis memorabilia market is ripe, but unlike most other sports, until recently, The ATP was slower to wake than most other leagues. 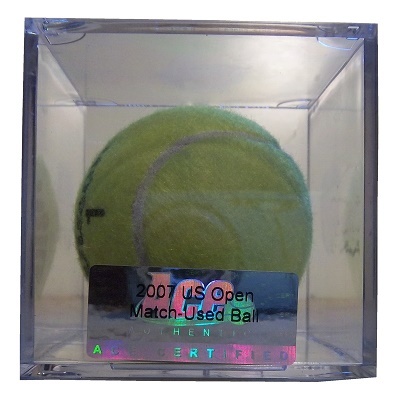 Now that the ATP is embracing the memorabilia market, the match-used market has a lot to offer. 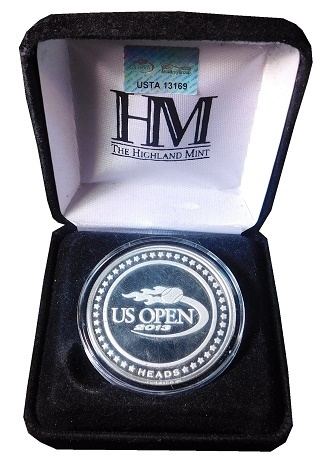 This weekend marks the start of the second oldest of the Grand Slam tournaments, the US Open dates back to 1881, at the Newport Casino, in Newport, Rhode Island. 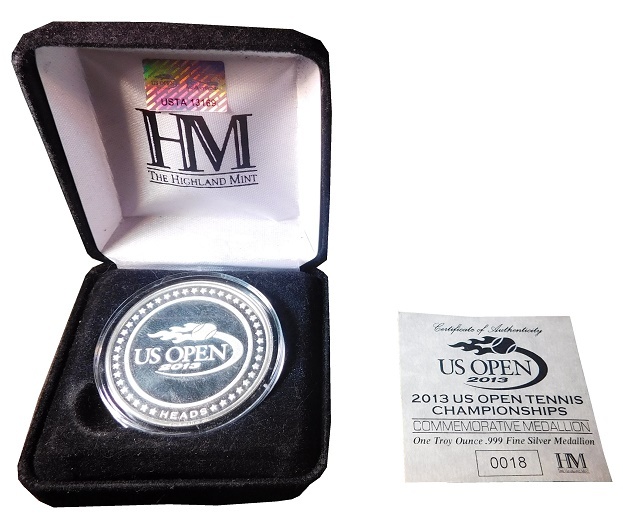 In 1915, it was moved to the West Side Tennis Club at Forest Hills, New York, where it was held until 1977, when the USTA Billie Jean King National Tennis Center was opened in Flushing Meadows–Corona Park in Queens, New York City, where it is played to this day. 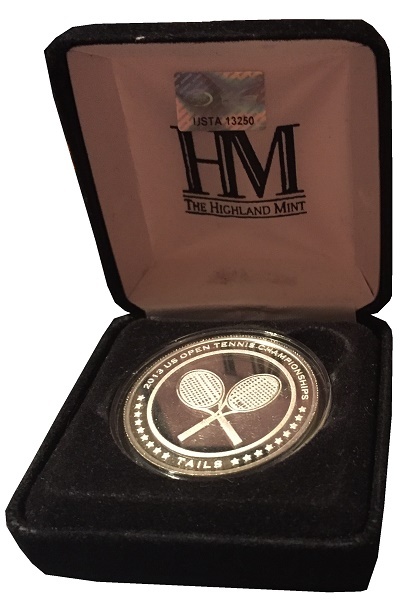 The tournament has had some legendary winners, including on the women’s side, Margaret Court, Chris Evert, Martina Navratilova, Serena Williams, and Venus Williams. 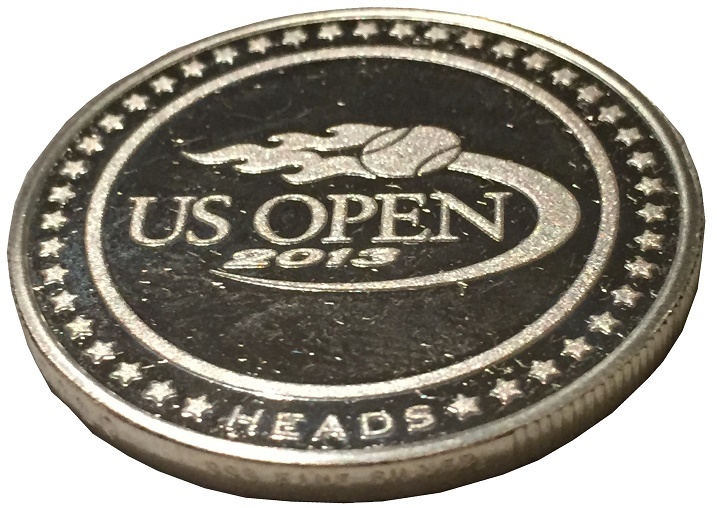 On the men’s side, you have Richard Sears, Arthur Ashe, Jimmy Connors, John McEnroe, Pete Sampras, Andre Agassi, Roger Federer, Rafael Nadal,and Novak Djokovic. There have also been 19 players who went on to earn the Grand Slam. 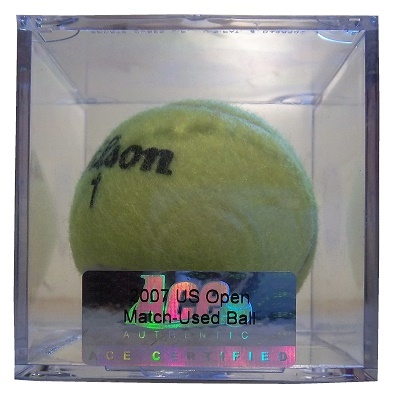 Tennis balls have been yellow since 1972, due to being more visible on television, than the previous white design. 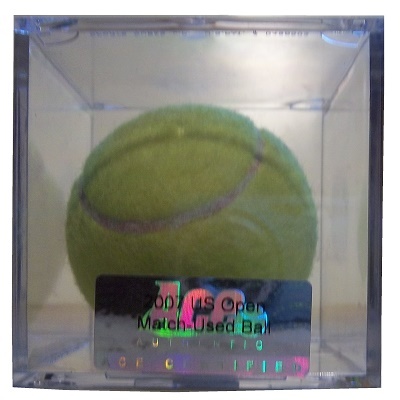 I have some Ace Authentic US Open match-used tennis balls. 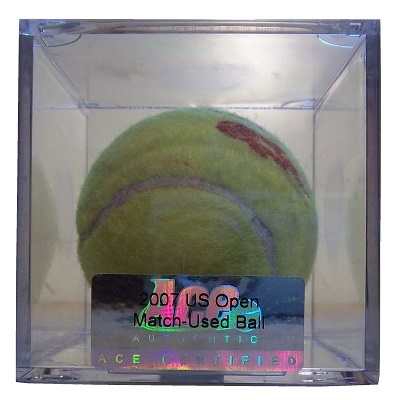 These examples are from 2007, are in baseball cubes, and have Ace Authentic hologram stickers with 2007 US OPEN MATCH-USED BALL printed on the sticker. 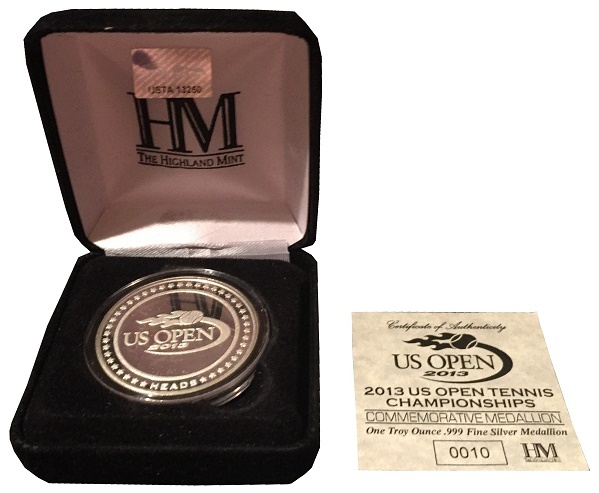 This example is from the 2008 US Open, and this one was used by Novak Djokovic. 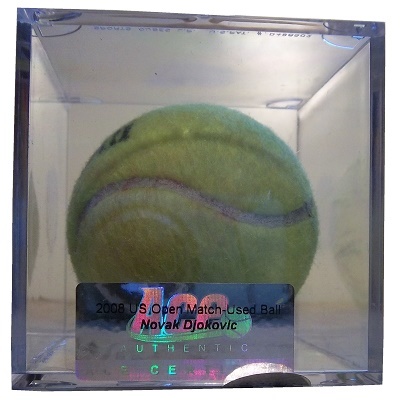 It has 2007 US OPEN MATCH-USED BALL NOVAK DJOKOVIC printed on the Ace Authentic sticker. 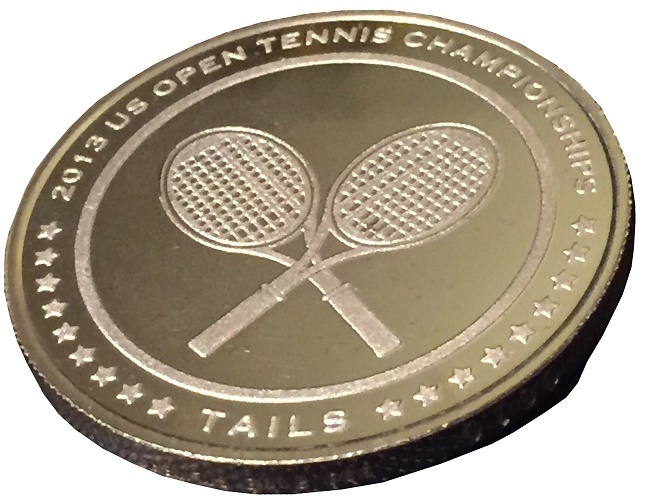 Like many other sports, tennis uses a coin toss to determine who serves and who receives. 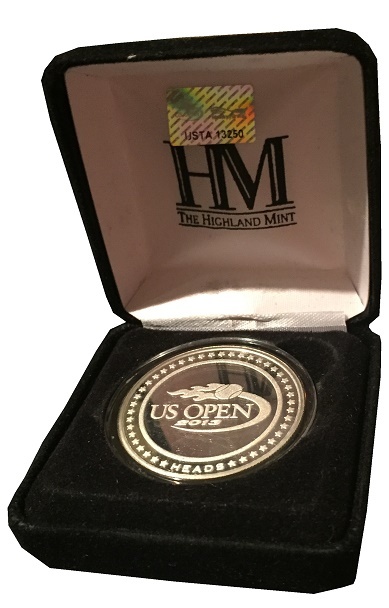 From at least 2008 to 2013, the US Open used Highland Mint made flip coins. 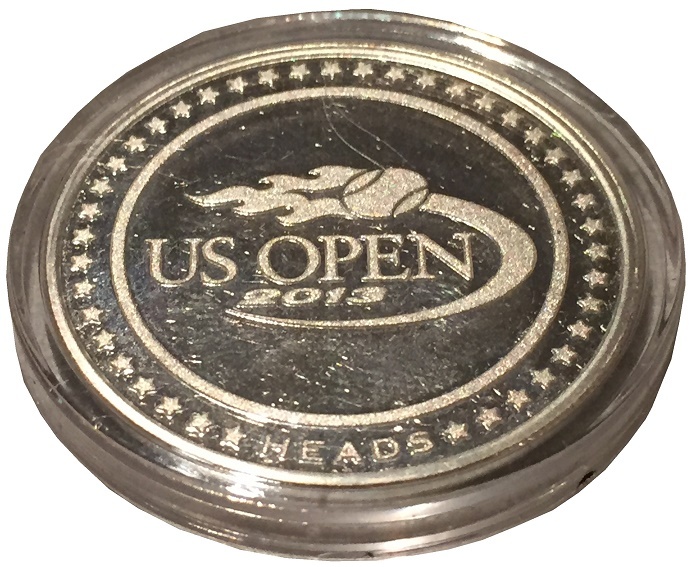 Like other flip coins, these were custom designed for the occasion. 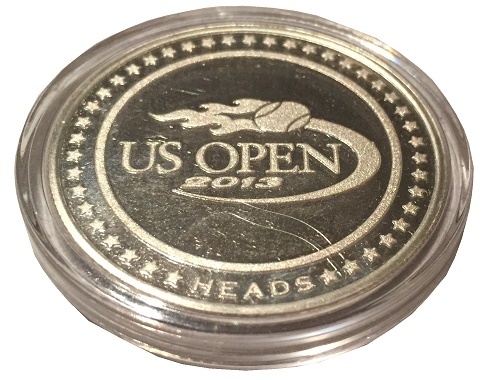 I have a couple of match-used coins from the 2013 Tournament. 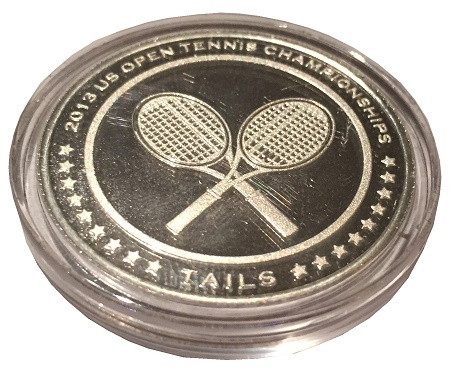 The Men’s Doubles saw Leander Paes and Radek Štěpánek defeat Alexander Peya and Bruno Soares in the Finals. 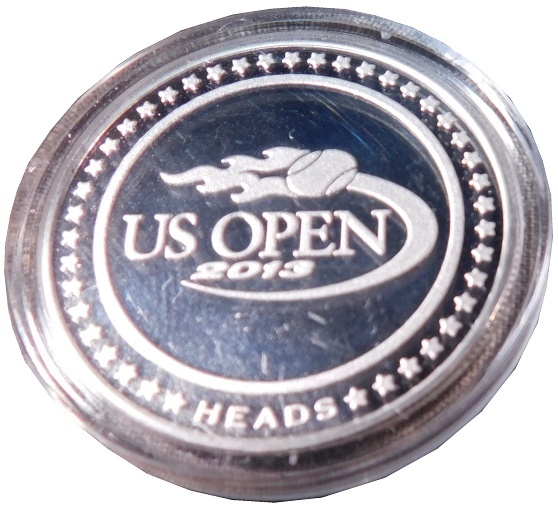 On the way to the finals, Alexander Peya and Bruno Soares defeated Ivan Dodig and Marcelo Melo at Louis Armstrong Stadium 7–5, 6–4 on September 5, 2013. 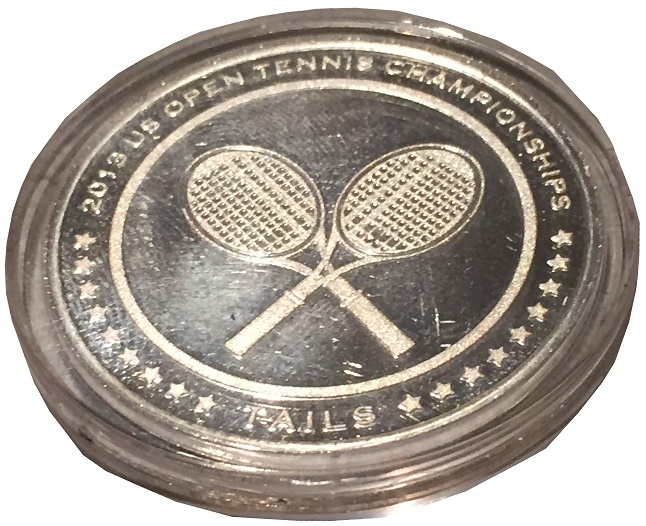 This coin was used for the coin toss. 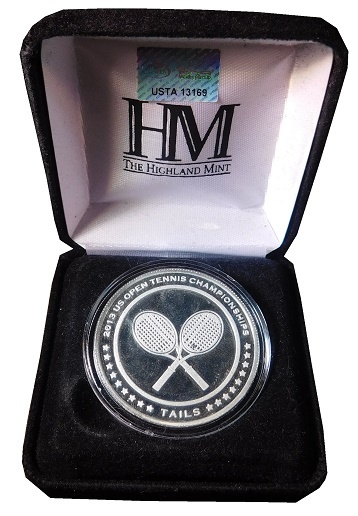 This Highland Mint made coin was authenticated by MeiGray, which the US Open used from 2012 to 2015 for their memorabilia. 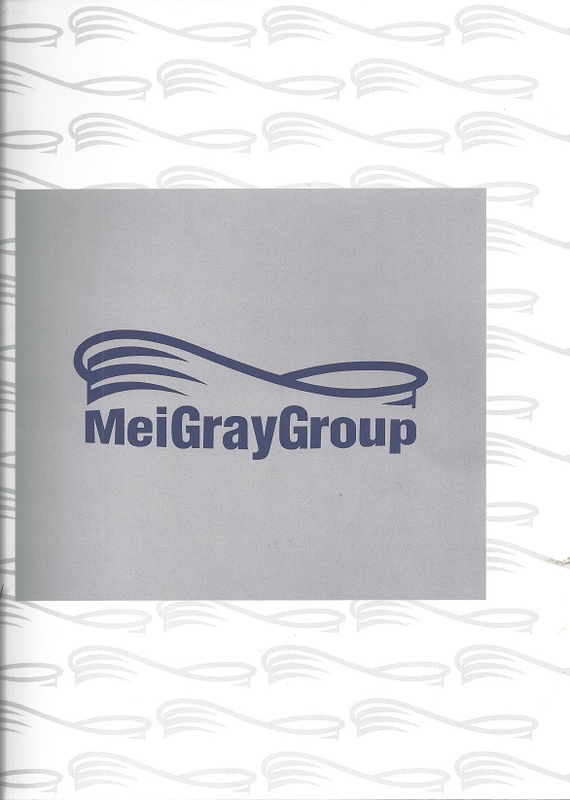 It comes with a full Letter of Authenticity, and MeiGray hologram, in a MeiGray folder. The Women’s Doubles saw Andrea Hlaváčková and Lucie Hradecká defeat Ashleigh Barty and Casey Dellacqua on September 7 6–7(4–7), 6–1, 6–4 . To get there, Andrea Hlaváčková and Lucie Hradecká had to beat Sania Mirza and China Zheng Jie in the Women’s Doubles Semifinals on September 5 6–2, 6–2. 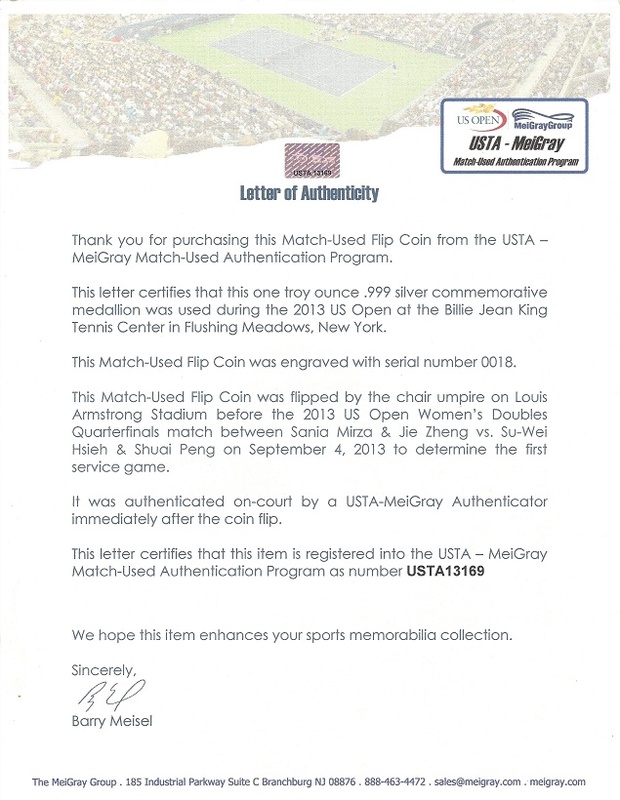 The day before, Mirza and Zheng Jie defeated Hsieh Su-wei and China Peng Shuai 6–4, 7–6(7–5) in the Quarter Finals at Louis Armstrong Stadium. 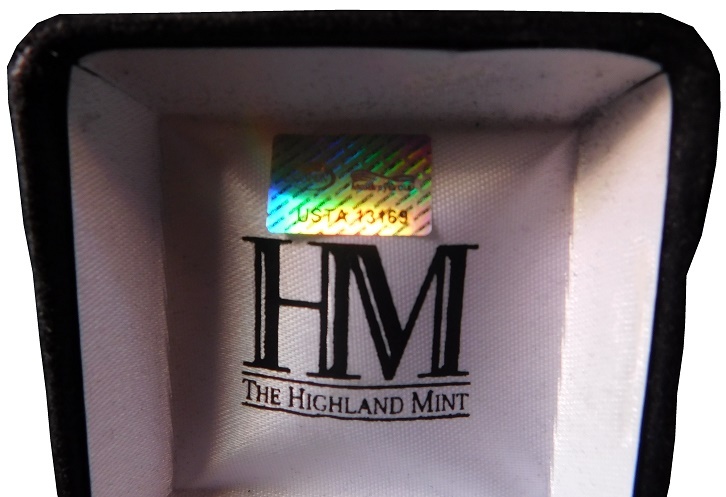 This Highland Mint Coin, #18 was used for the coin toss. 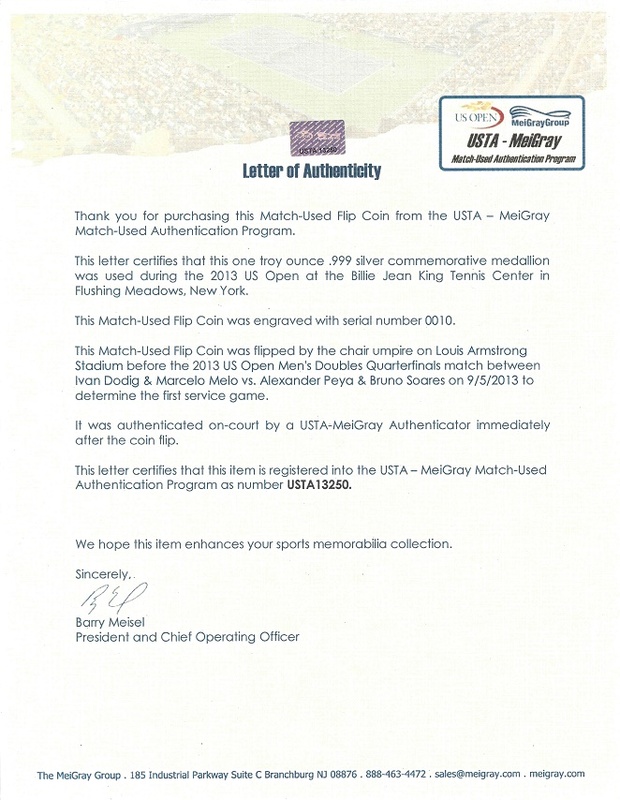 This Highland Mint made coin was authenticated by MeiGray. 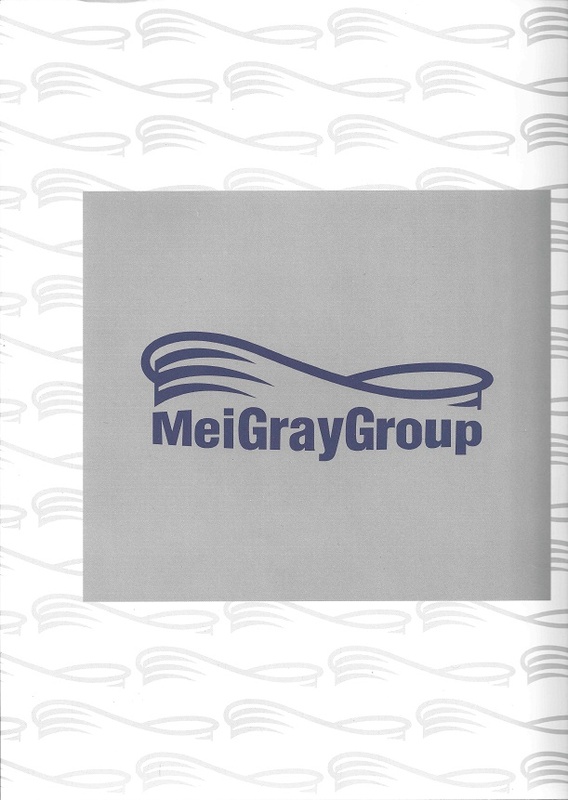 It comes with a full Letter of Authenticity, and MeiGray hologram, in a MeiGray folder. 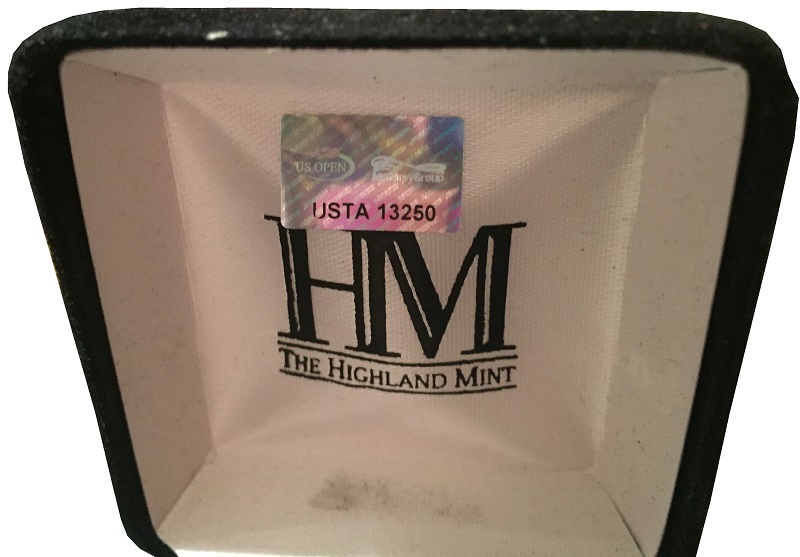 The Highland Mint made US Open Coins for retail. 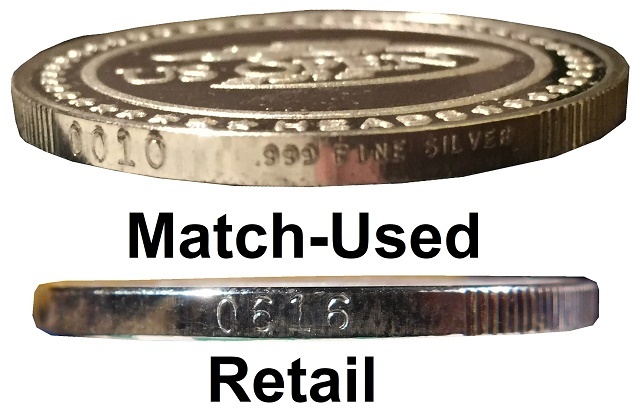 These are numbered higher than match-used coins, and the Match-Used coins have .999 FINE SILVER stamped into the side, near the serial number, whereas the retail coins do not. 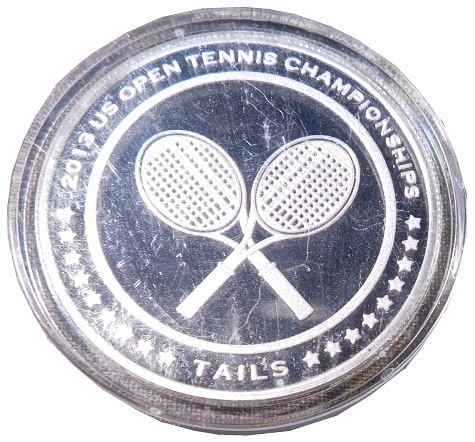 For the next 14 days, the tennis world will be focused on New York City and the USTA Billie Jean King National Tennis Center will be its busiest as the best tennis players from around the world compete in one of the most respected tennis tournaments and try to win the U.S. National Championship trophy, one of the most coveted in tennis. 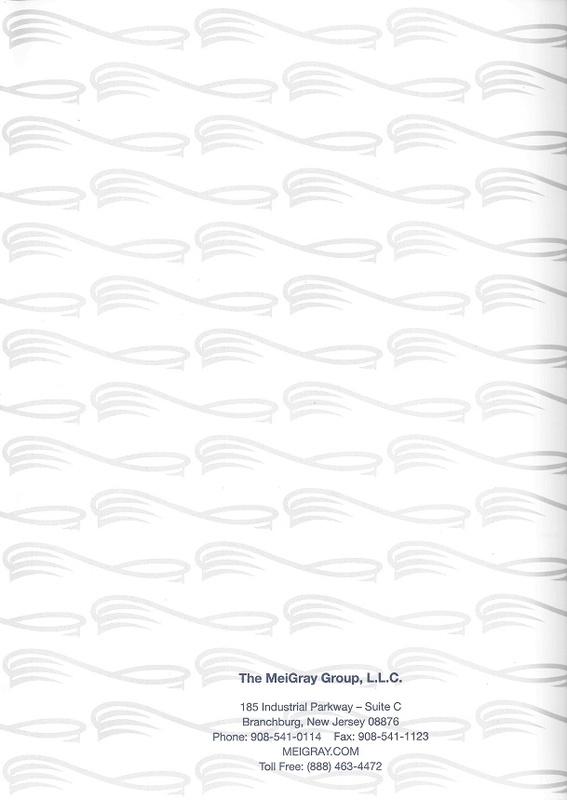 Who the winners will be will be known on September 10. Next week, I will discuss a pair of IndyCar boots. 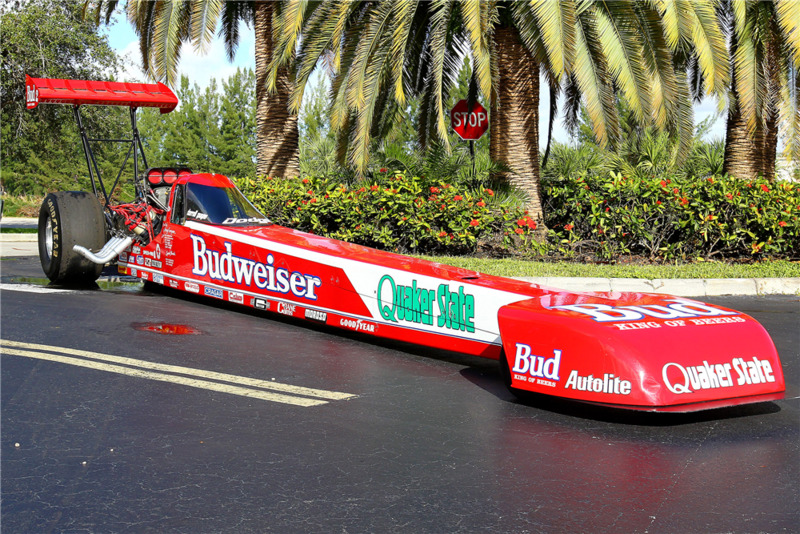 Castrol has a very good shade of green and a very good shade of red in their logo, and both are on display with this dragster. 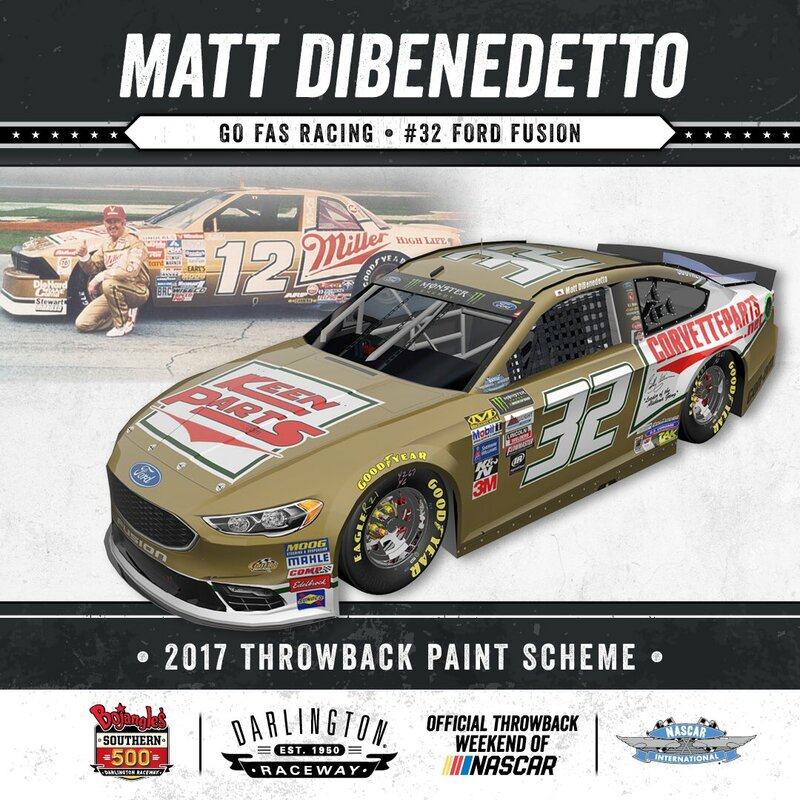 I like the idea of the green stripe up the side interrupted by a white background with CASTROL GTX in green and red letters. 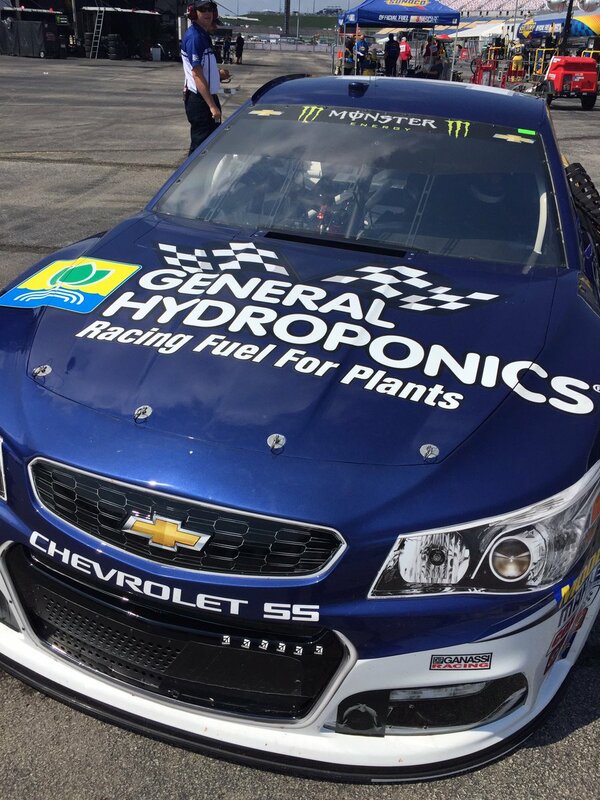 This would be the design that they used when they started sponsoring John Force. It’s an A scheme. 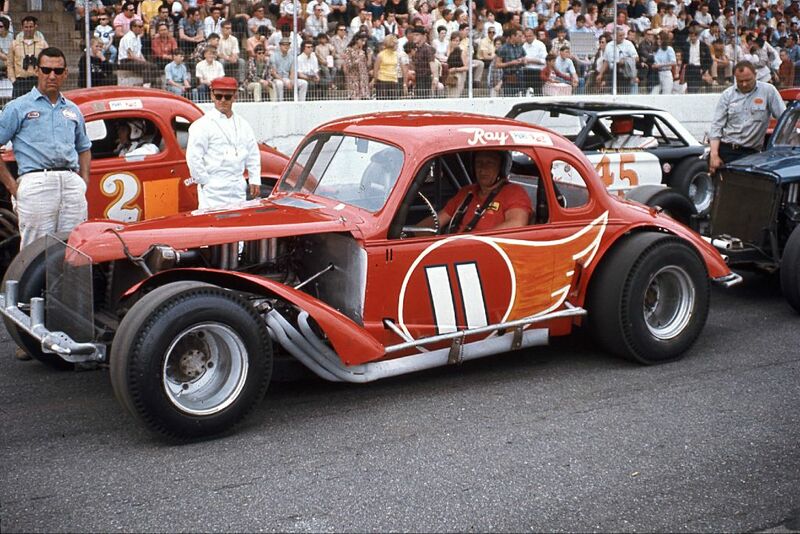 I don’t like this version of a streamlined dragster. 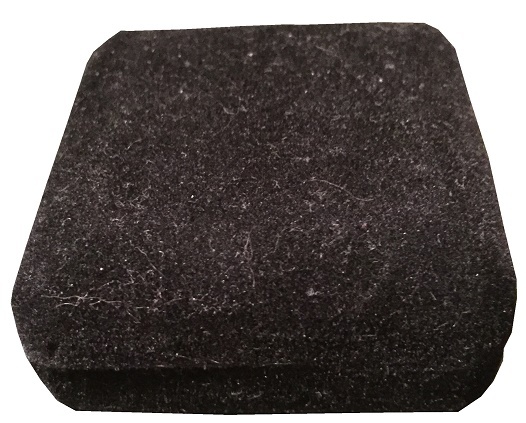 It looks forced, and it looks like there is no way enough air can get in the supercharger. 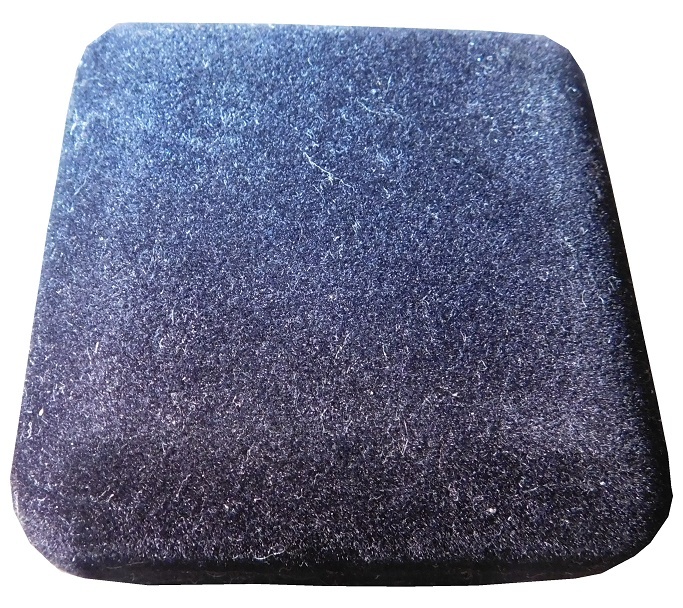 The large wheels look clunky, and would create drag. It’s just not a good car, and I’m glad it bit the dust. I was going to discuss some things for the website last week, but real life got in the way. I would normally not discuss something that heavy, but I was so disgusted with what I was seeing, that I had to say something. I try to keep things light, and I will try not to discuss anything that heavy on this site anymore. With that out of the way, I will discuss some things with the site. I’ve been starting work on schedules for 2018, and I’ve made a few set in stone decisions for next year. The first thing I’ve decided is that the schedule will remain the same for 2018 as it is in 2017. I like the way the schedule works, and I see no reason to change at any time. 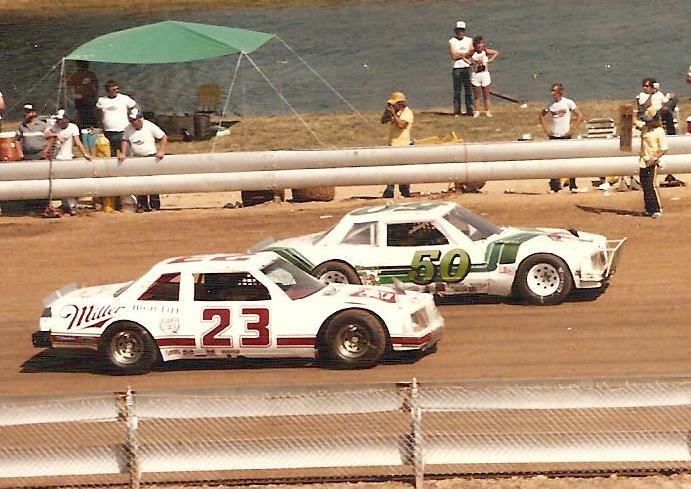 For Throwback Thursday, I’m going to focus on endurance racing, and I may or may not grade some of the Truck Series, but I haven’t made the final decision on that yet. When it comes to the videos on Monday. 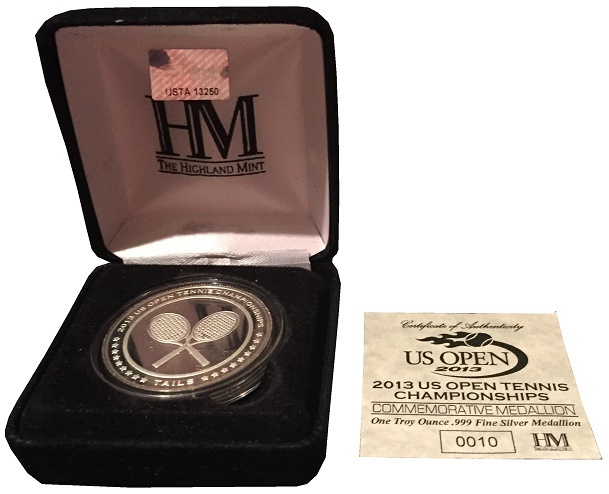 I’m putting the finishing touches on Seasons 19 and 20 of Introduction to Sports Memorabilia. I’m done with season 19, and I will finish season 20 within the next few weeks. Earlier this year, I announced that F1 Month will be replaced with Little Guy November. Little Guy November will feature uniform items used by drivers who aren’t in the big leagues. 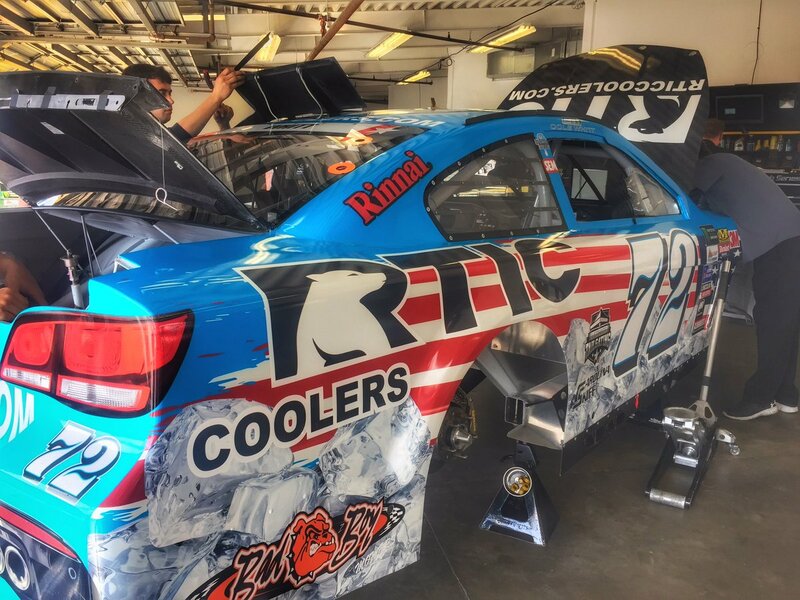 The point is that there are many race car drivers who don’t race professionally. I’ve since decided that 2018 will also have Little Guy November. I can also promise that real uniform aficionados will love the first two articles of 2017 Little Guy November. Speaking of theme months, Wheel Reviews January will return in 2018. I have two books and two movies that I will be reviewing for January. 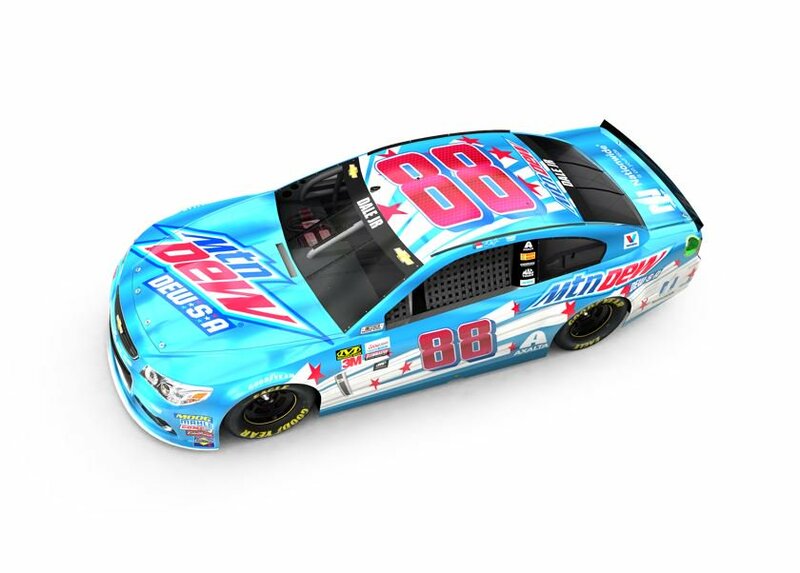 This comes after I spend December with the Paint Schemies, and the Paint Scheme Leaderboard. I treat December as a kind of sabbatical, but instead of relaxing, I spend most of that time working on other aspects of the site. I can get a lot done in that time, and since I don’t have to do the tracker and grades every week, it helps me get work done. I do also plan on going off topic, but I’m planning it out better than I did this year. I have some interesting topics planned. I know I say this every year, but I do plan on bringing back Tailgating Time for 2018. While I have said this in the past, I do have a plan for 2018, but more on that later. Other than that, there isn’t much to report right now. I’ll be back soon with more. A pit crew vest from James Buescher in 2011. 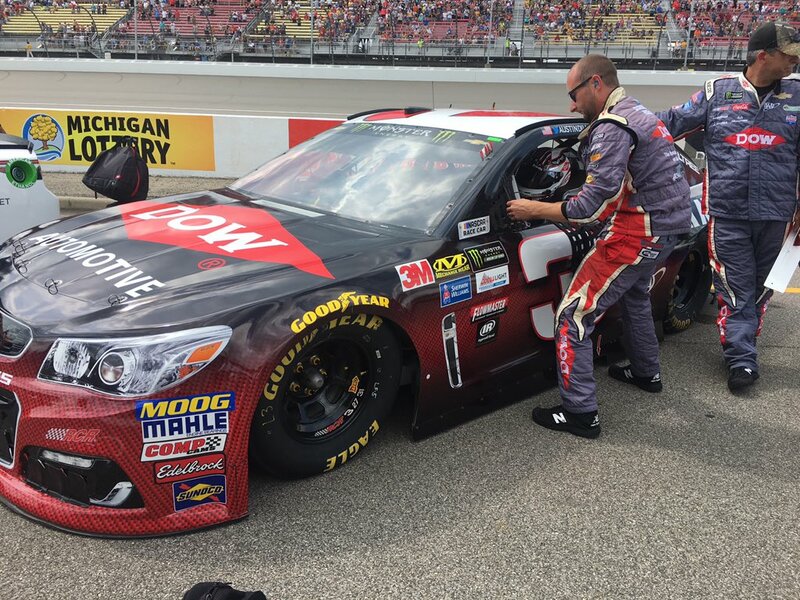 Austin Dillon #3 Dow Automotive Magma Chevy SS-The look is good, it’s bold and subtle, and it earns an A.
Trevor Bayne #6 Roush Performance/Hines Park Ford Fusion-Same scheme as Roush Performance, Same A grade. 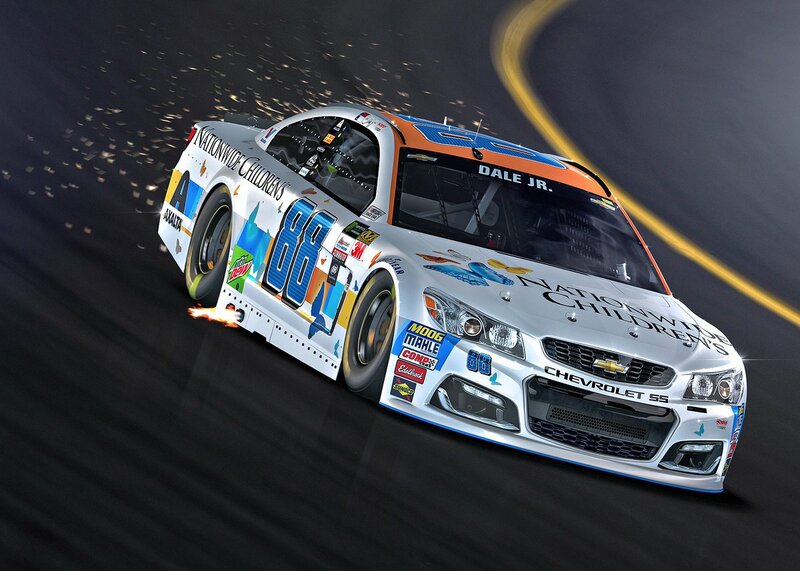 Danica Patrick #10 Colorado State University One Cure Chevy SS-Colorado State doesn’t have a good color scheme, but this scheme salvages it. I don’t like the paw motif though, so, all things considered, I’ll give it a B+. 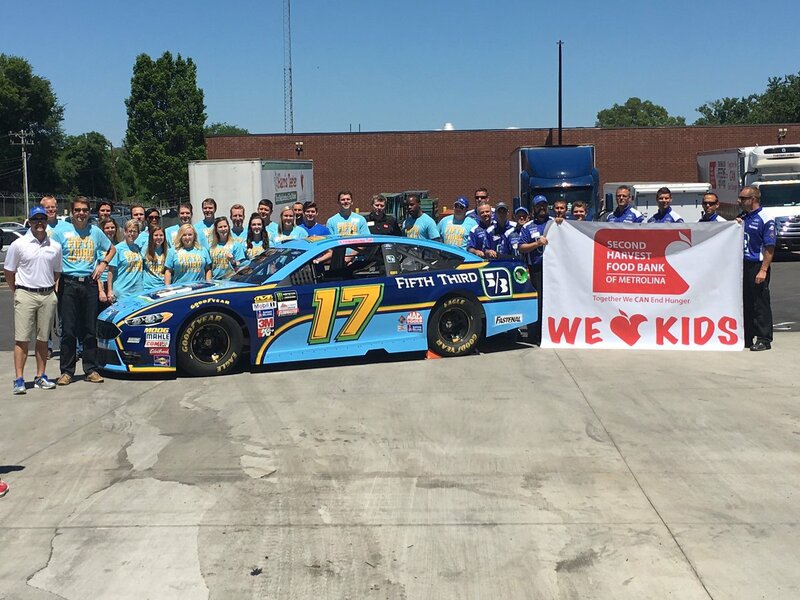 Ryan Blaney #21 Motorcraft/SKF Ford Fusion-Same scheme as Motorcraft, Same A grade. 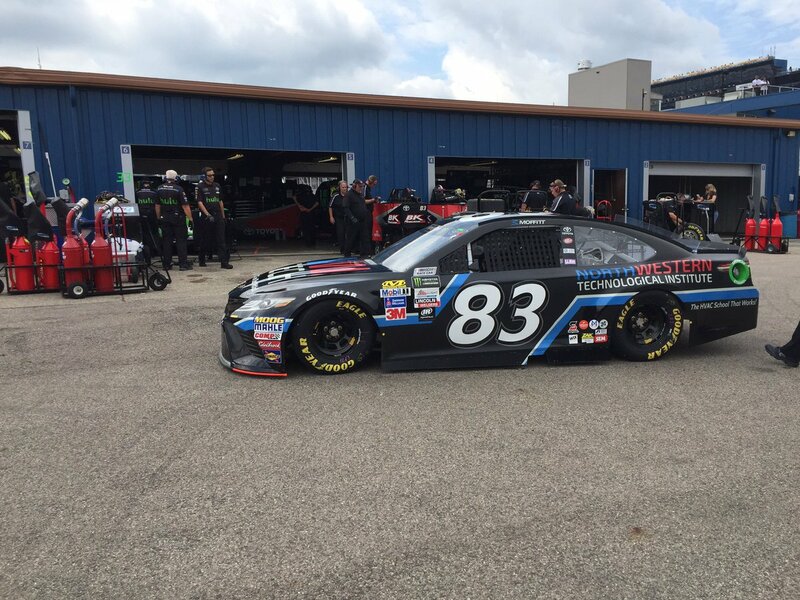 Chris Buescher #37 Bush’s Grilling Beans Chevy SS-Same scheme as last year, Same A grade. 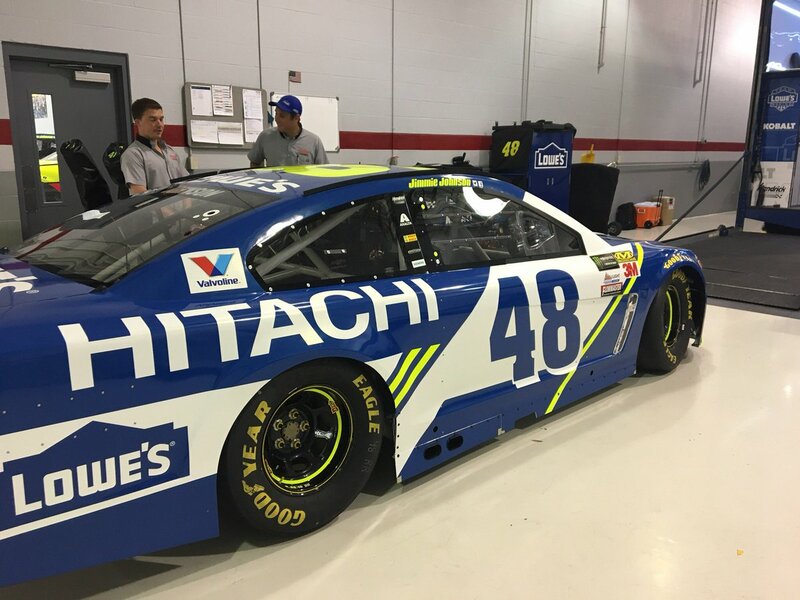 Jimmie Johnson #48 Lowe’s/Jimmie Johnson Foundation Chevy SS-It’s a better look for this year’s JJF car. The color scheme works, and the design is really good. I’ll give it the A it deserves. 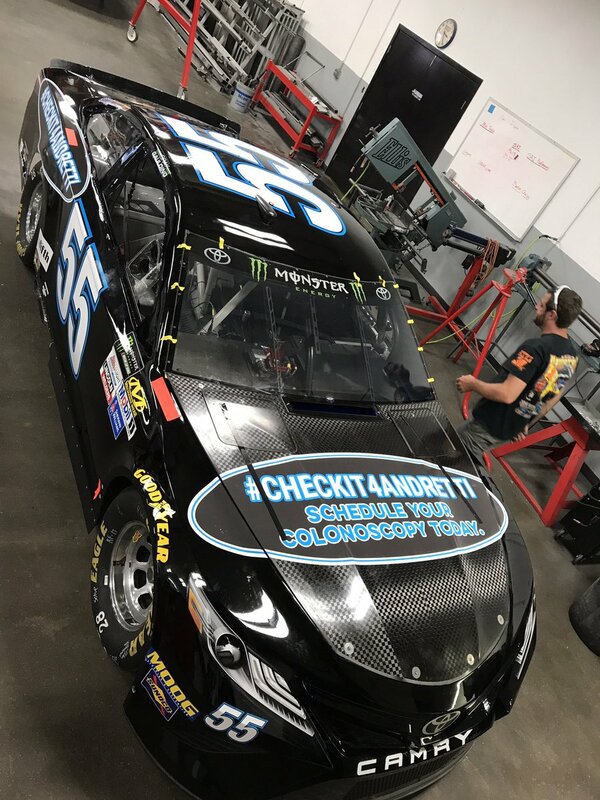 BJ McLeod #51 Corrigan Oil Chevy SS-Same scheme as #15, Same A grade. 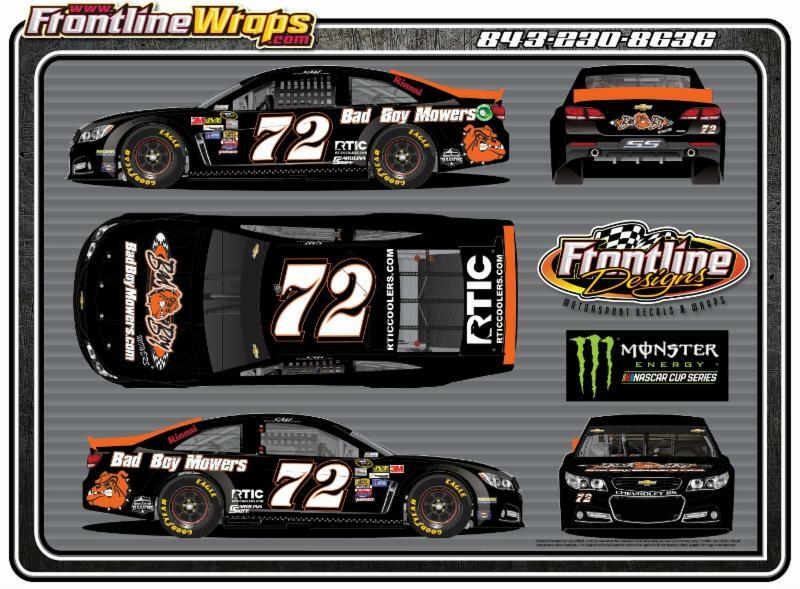 Cole Whitt #72 Bad Boy Mowers Chevy SS-A smooth simple look with a good color scheme will always earn an A.
Brent Moffitt #83 Northwestern Technological Institute Toyota Camry-A smooth simple look with a good color scheme will always earn an A.